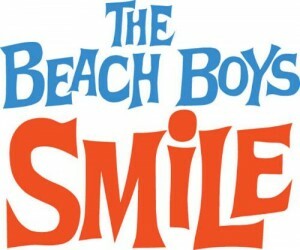 • EMI has announced the forthcoming release of a very special Beach Boys album. The ‘SMiLE’ album sessions were recorded between summer 1966 and early 1967 and were intended to culminate in an album release to follow up their massive hit ‘Pet Sounds’, but things never eventuated. So 44 years on, it will finally see the light of day later this year in a very special 2CD package that will be made available in standard and deluxe editions, along with a strictly limited edition box set. A release date is forthcoming. • Speaking of EMI, they’ve also announced a new best-of album for rock outfit Iron Maiden. ‘From Fear To Eternity’ contains the best of the band from 1990-2010 and will be released in Australia on Friday May 20. • Organisers of the 2011 PushOver Festival in Melbourne last weekend have declared the event a “raging success”. Despite wet weather providing a few interruptions, Artistic Director Shane Wickens said in a statement that “the vibe and energy of the crowd this year was amazing”. It’s expected to return in 2012. • With his new album ‘Rock And Roll Is Where I Hide’ dropping at retail next month, Dave Graney has announced a national tour. Kicking off in Braidwood on Saturday March 26, the tour will so far take Dave through the eastern states, with dates in both South and Western Australia to be announced in the weeks ahead. Check his OFFICIAL WEBSITE for more info. • Bliss N Eso have announced a second Melbourne show as part of their ‘Running On Air’ tour in May and June. Their Festival Hall gig on June 03 is now sold out, so another date has been added – Saturday June 04 at the same venue. Tickets are on sale on Monday March 28. • The boys from Jebediah certainly are a generous mob. They’ve decided to give away a free show to their biggest fan (and 100 of their nearest and dearest). The prize also includes catering AND a signed copy of their brand new album ‘Kosciuszko’. Head to www.jebediah.net to sign up for the chance to win. 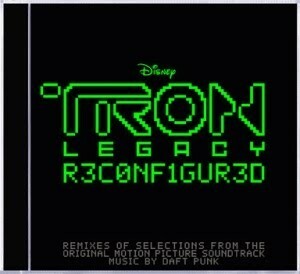 • Universal Music this week unveiled further details about the forthcoming ‘Reconfigured’ edition of Daft Punk’s ‘Tron : Legacy’ soundtrack. The 15 tracker features remixes of various tracks from the original soundtrack, reworked by the likes of Moby, Kaskade, The Crystal Method, Paul Oakenfold and even our own Tame Impala. It’s out on Friday April 08. • Hot Chip’s Alexis Taylor has a new side project album on the way. About Group will release their new album ‘Start & Complete’ in Australia through EMI on Friday April 22. It contains the lead single ‘You’re No Good’, which will see the digital light of day on Friday April 01. • On this week’s Billboard Hot 100 in the US, Lady Gaga maintains her stranglehold on the No.1 position with ‘Born This Way’, while it’s Katy Perry making all the moves into the top five this week with her latest single ‘ET’. The new Britney track ‘Till The World Ends’ has rocketed into the top ten at No.09. • Meanwhile Lupe Fiasco is doing rather nicely over on the albums side of things with his new long player ‘Lasers’. Despite a little typo on the Glee entry (below), volume two in the soundtrack series has debuted at No.3, just ahead of Avril Lavigne’s new album ‘Goodbye Lullaby’. Debuts at Nos.5 and 6 too from R.E.M. and Sara Evans.